Kustomvape a premium supplier of CBD eliquid in the UK has seen a rapid increase in sales as the UK starts to waken up to the benefits of CBD. CBD is sweeping the USA and is recognised as having many benefits from helping with stress, anxiety, sleep disorder and many more serious medical conditions. As Britain comes to terms with the reality of the growing number of people that are addicted to cannabis a solution could already staring us in the face. John Dickson Sales Director for the UK said "According to a study by two researchers at UCL, Dr Tom Freeman and Dr Adam Winstock, the strongest cannabis increases the risk of addiction, along with memory loss and paranoia". Dr Freeman told the BBC: "We think that CBD can reverse long-term changes which happen when you smoke cannabis repeatedly, and in people who smoke a lot of cannabis it'll help them quit. "It blocks the effects of THC and it reduces anxiety and paranoia. If this trial is successful, then we will have found the first effective drug treatment for cannabis dependence." 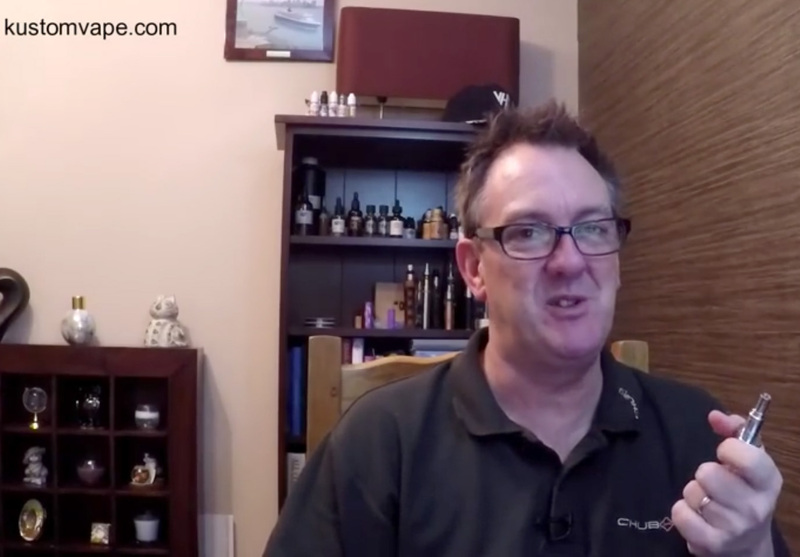 This is great news for people struggling with addiction to weed, Kustomvape are delighted that the recent CBD benefits are making headline news around the world. Kustomvape is a Scottish company based in Edinburgh who consider themselves different to other e-liquid companies. Providing only premium e-liquids, the Kustomvape portfolio includes prestigious vaporizers and accessories. Kustomvape products are available online and at over 700 retail locations throughout Scotland. The company is committed to offering the best vape juice on the market. Their products satisfy all tastes and needs, from smokers trying to quit to true vape experts. Exceptional Customer Service – Kustomvape makes customers their top priority with client satisfaction at the heart of their operation. Quality and choice are the key ingredients in their business philosophy. Their customers are treated to exceptional customer service by enthusiastic staff with expert knowledge. Finest E-Liquids Around with the Tastiest Flavours – 100% USA made equals quality! Their nicotine e-liquids are Diacetyl free and are produced within an approved by FDA facility. They are made from medical USP grade ingredients sourced from the most trusted names within the industry, providing consistent product quality and taste. Available Online & Within Stores – Kustomvape products are sold throughout Scotland and are in over 700 retail shops. Kustomvape has a dedicated retail shop finder app to allow consumers to find their nearest store. Online shopping has its advantages so Kustomvape also allows consumers to shop in the comfort of their own home.